As the world changes and shifts realize that you matter. You have the right to happiness and success. You are special and unique. Utilizing the tools of Divination and Life Coaching you can create the life that you long for. The Universe is ready to give and to support you, all you have to do is move out of the way and allow wonderful things to flow to you. The following posts will help you to tap in to universal energy. To magnetize yourself drawing abundance and love to you. Individual and group sessions are available when you are ready to make lasting changes in your life. is always a hot topic. Even now that the holiday are over, several clients have mentioned that they are feeling tense, on edge and still not relaxed. So I thought I would offer a few of the stress busters that I bring to my workshops. 1. Lavender or vanilla can be incredibly relaxing scents. Keep a small container of an essential oil in your purse or desk drawer. 2. Change it up! 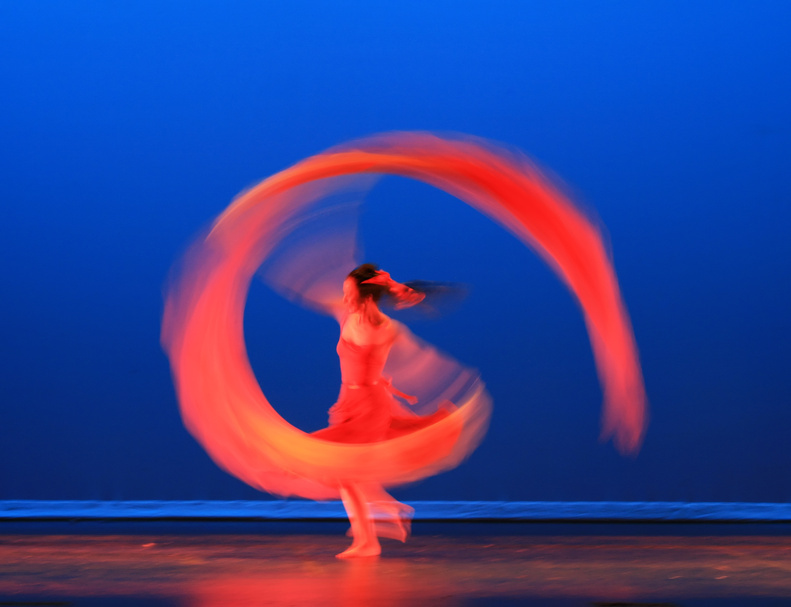 Sometimes the Feng Shui – the natural flow of energy can be off. Find stress relief in moving the furnature, try facing a different direction. Add a plant or mirror. Go sit in a different area for a bit. The art of Fen Shui is ancient and serious – but even a small shift can start to make you feel better. 3. Chocolate – yes there is a reason you crave it! It actually will help you feel better. Especially dark chocolate. 4. Get a balloon ( not blown up yet) and when you feel stressed think of all the things that stress you. With each thought blow into the balloon. Fill it up! Then let the balloon go. Allow yourself to release the stresses as the balloon releases the air. Send a Video – it might become one of the Funny ones we can highlight. Hysterical stress relief videos! 5. Laughter! Did you know how relaxing it is to let out a good belly laugh? The Dragon’s Breath has past us. The ionization field moved on and we have made it through a tumultuous year. It may have effected you in a number of ways. Did you feel unfounded fear or worry? Did you loose a loved one? Did you find that days passed and nothing was done or that you felt in a fog? This is what many felt. Not necessarily every day but much more often than usual. Often enough that it was another concern; falling unbidden like the last winter snow. 2013 will be the spring. There will still be bad das, rain and mud; but on the whole the freshness will start to be apparent. There will be an energy in the air and those of you who are sensitive will feel it. itive knowledge and connect with the divine. I found this amazing picture on pintrest. Somehow it speaks to me of the glorious world that we have chosen to live in. The beauty is breathtaking. It speaks to me of the color and creativity that 2013 will open up for us. Individual readings will let you know what your personal challenges will be. Be ready for 2013. Feel confident that this is a time for preparation. Begin to gather your seeds and look forward to a glorious year 2013. Two days ago I was part of a Golden Crown Activation. The Golden Crown Chakra is above your head (not part of what we typically consider our bodies) – often it is shown as a veil or small Buddha. Opening it is essential to creating a greater connection with the divine and it is a powerful activation. My dear friend Lydia Van den Broeck is amazing at moving the energy and clearing blockages. It became obvious that I had shifted greatly and I have been putting the new me into perspective. I find that a big piece of this is re-claiming myself! I had begun, as you may have, to drift away from the essential me. I work with so many people to help them discover their true self, their futures and their paths that I had forgotten myself. Like the shoe maker I was walking around in raggy shoes and spending my time creating lovely new ones for others. What I am re-claiming is this. To perfect myself – to reclaim more fun and joy – to spend more time in this realm of spiritual bliss than I was doing. I have re written my bio and focus for Keen (a way to make an appointment or see if I am online for readings), I am fully opening myself up and I will be even more inline with the messages from our guides. My dragons are applauding! They had been calling me to do more readings and to write more. Both are my personal way to growth. I am looking forward to helping more of you re-claim yourselves. Green for growth, Purple for intuition, White for spirit. All these pulsate around us. Imagine your aura – create the colors in your mind that you want to project. Being in the flow is such an amazing wonderful feeling. Perhaps the most astounding is how quickly things manifest. I am getting very careful about what I put out for myself because it keeps appearing. I sat down with Bob and mediated on abundance. We followed that with a serious discussion about finances and exactly how much I needed to bring in for us to live together comfortably. We figured a monthly amount and did the math to come up with a need number of hours of work. That was Monday night a few weeks ago. That same week Wednesday afternoon — I recieved a call out of the blue from a friend that I hadn’t heard from in years. She had work more than my needed amount! Less than two days and the money was found. And it keeps coming – it is as if a stream has started of additional opportunities! All focused on Virtual Freedom and the internet. I am loving it all. Let me know how you are manifesting and what works! Free — I bet that word got your attention! But I mean it. You need help out there and that’s what this site , the book and other VF resources are all about. But you may not have the budget to do all the things that need getting done. Here are several ways to create a marketing team with out it costing you anything. First who would you need – or who would you want? As a sole-entrepreneur you are used to doing it all! You may very well like having control over all the facets of your business but marketing is about making connections. They will be great assets as your team. In turn think about what you can give them. Will they want to send you customers because it is a benefit to them? A doctor might refer particular personal trainers because they know their techniques are effective. Contact these possible team members, introduce your self, if possible offer samples. Next is the Join Venture. Joint Ventures are a partnership. It might be adding your logo and expertise to an event, as a facilitator. It might be partnering with a similar but not competing product lines. A wedding photographer might add a Make Up Artist to mailings. This would be an added value for clients and could be offered as a discounted promotion. Talk it up — Let others know what you do and who you help. We like working with our friends, sending referrals to people that we personally know. So add your friends and neighbors to the Team. 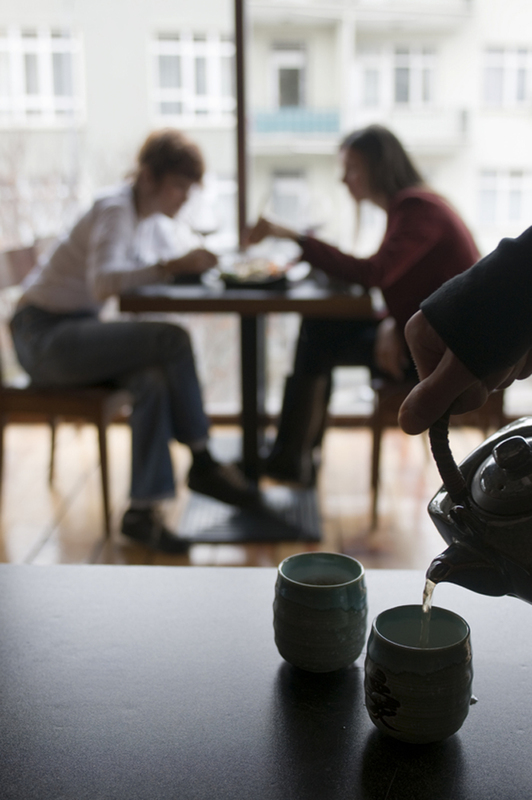 Ask them what they do, offer to visit their place of business or share ideas with them. Usually they will respond in turn and ask you. Suggest partnerships. Call people that might be good to know and ask if they would like to have coffee. I spent a month focusing on calling and visiting with others in my industry. I didn’t know them but had perhaps met at a meeting. I just called and asked if they were free to just chat. By sharing industry information with others you may find unexpected marketing allies. When I was Life Coaching and working exclusively with Parents. I found several other coaches who called me and referred families. And finally there is the age old system of barter! We often think of this as service for service or product for product, but consider using it as an inexpensive affiliate system. What can you give away for five referrals? Buy one – a friend gets one free… these are all ways to leverage what your business is and to get a word of mouth started. Marketing is getting the word out but better yet it is getting the client in the door and buying! Keri K Silk, MS, DTM- Author of Virtual Freedom: Stop wasting time on the web – Get and retain customers effortlessly. Social Networking Strategy, Virtual Assistance and Affordable Resources for Solo-Entrepreneurs. 866-279-8666 to connect. The comments that have been coming in around creativity show that many live their lives with stories, visions, and bursts of creativity. Artists see the world as a canvas – each scene a painting, each material a prop. There is always the thought fliting on the edge of consciousness – what can I make with that. For the writer the story starts, or a few words flow. Looking at an old man our minds begin to envision descriptive words. Perhaps we “see” a past story or future premise. The trick to living with creativity is not to limit it but to channel it. One way is to keep bringing ones self back to the work at hand. Catching the tangent and stopping it. I tell clients who tend toward negative thoughts a similar tactic. Just say stop, take a deep breath, release the thought and focus on where or what you need to. It takes practice but it can keep one on task. Another option is to create the idea folder or box. Sheri McConnell calls these flits of ideas and creativity Bright and Shiny Objects. My partner at Uy Creative – Maureen Uy shouts “Squirrel” when an idea pops suddenly into the conversation. Take the distraction and pop it into a folder or box. Putting it away saves it for the future dry spells or when you go I remember that idea what was it. It can also help you to refocus! Always love when you share your thoughts! And don’t forget the challenge at #VFcheckin a chance to keep yourself on task for the 2012 goals! Don’t be afraid to be creative!! Be wild, be joyous, let it out …. it is the best way to happiness!! Keridak Kae writes and creates to help you get every drop of happiness out of life! http:keridakkae.wordpress.com and http://virtualfreedom.biz to work individuall with Keri. I’d love to learn about your creative process! Funny, many of my dreams are novels. I have characters, plot lines and conflict. Rarely am I in my dreams. Instead it is like reading a good book or watching a gripping television show. I am drawn into the scene as an observer. Others tell me that this is unusual but it is the way it has always been. Perhaps that is why the quote caught my attention. I just came back from my meeting of the Milwaukee Writer’s Circle and am thinking about my fiction pieces. None of them came from my dreams but I am sure that I process the story lines as I sleep and awake with new ideas. New ways that my heroes and heroines want to be portrayed. Share your muse, your way of creating. I’d love to learn about your creative process! I had a discussion tonight about how difficult some people find it to get started. how difficult they find creating something from nothing. but for me it is so easy. Just give me a pen, paper or a computer and I fill the blank space with words. 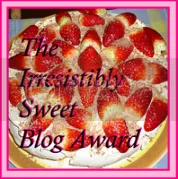 The Irresistibly Sweet Blog Award Goes to…. And thank you to Paranormal Freebies for bestowing it! 3. Pass the Award on to 10 deserving blog buddies. 4. Contact those buddies and let them know. Dragons are our friendly guides through the universal mind. I am writing several fiction and non fiction works look for Virtual Freedom the book. I have been known to enjoy peanutbutter and pickles (the sweet ones). My favorite Tarot card is the Ace of Cups — all wonderful things overflowing! This weekend I will receive an energy burst from Mark Anderson – amazing energy healer!! The only German I remember is “Er est tot” or He is dead. I am passionately in love with a wonderful, intuitive, caring guy! Yes they do exist. And now for the new awardees!! 1. Abraham Rose : Stories of faith and alternative medicine that is an awesome reminder of miracles. 2. Eric Lequesne : Fake Stories from a Real Person — Flash fiction and writing fun! 3. Terry Allen :I am Painless is a blog site filled with heart and a desire to help others. 4. Jessica Aspen: Writes an assortment of tips and insights from an engaging romance/fantasy author. Don’t miss her novella! 5. Brent Steffen: Innovative new author of fantasy. 6. Michele Walker : Irrepressible energy and marketing guru. 7. Uy Creative Communications: Visionary branding and collateral to rocket sales. 8. Velva Heraty: Dream Momma and Creative Loafer! 9. Laurie Polinski: Spinning gold and much more. Congratulations all and pass it on! A friend just called me the eye of the hurricane. He meant that despite the chaos all around I am usually calm and cheerful. Of course this is most of the time. I make an effort to redirect my negative thoughts. I tell my clients one trick is to mentally say STOP. Check yourself. Don’t allow the negative stream to continue. On occasion there are a lot of stops. I am sure my mind would look like a lurching car. Stop -Go-Stop-Go…and so on. But in the end using this technique and others – I am able to maintain an aura of calm and patience. I breathe, smile and move forward in a way that others remark on. The thing is this isn’t a feat unique to me. It is something that you can do to! Many of my clients ask for tools that fit their individual lives. I find that once they begin to practice these – they work! It is when the stress and scary thoughts are laid to rest that you find the ability to grow, to enjoy and to allow joy in. It is amazing how the empty cracks are filled with happiness and self esteem. It is what I love about coaching! Watching this shift.